Pets can’t say how they’re feeling – it’s usually how they look or act that tells you something is wrong. Doing a blood test goes a step further, showing us the earliest signs of illness, often before your pet even seems to be sick. Testing gives us immediate insights that we might not otherwise discover, and so is valuable both when your pet is unwell and also as a routine check. When are Blood Tests necessary? Sick and emergency situations. Blood tests provide us with a valuable picture of your pet’s health and are often the first step when sick or injured pets are brought into the clinic. It helps the Veterinarians make immediate decisions to help treat your pet. Pre-anaesthetic blood tests. Blood tests are commonly done prior to your pets surgery, dentistry or other procedures and are particularly important in older pets. It lets us know if anaesthesia is safe and allows us to make adjustments if we see anything abnormal. These blood tests are usually performed on the same day as the anaesthesia, making it easy for your pet because it eliminates the need to have your pet fast more than once and reduces the number of trips you need to make to the clinic. Preventative care screening. Because the signs that your pet is sick are not always obvious, preventative care testing is often recommended as part of your pets annual exam. Preventative care screening not only uncovers disease before it’s too late but also helps you avoid significant medical expenses and risks to the health of your pet. Medication Monitoring. Some medications have side effects. Periodic blood tests, while your pet is being treated, can find these problems early and allow us to make the necessary changes… With other medications, blood tests are needed to ensure that the dosage is appropriate. 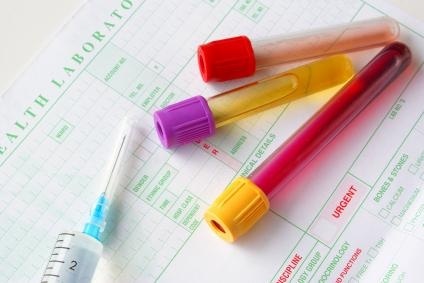 What type of Blood Tests are Performed? A Complete Blood Count tells you if your pet has an infection, if inflammation is present or if your pet is anaemic. A Thyroid function test detects whether or not your pet’s thyroid is functioning properly. Thyroid disease is very common in older cats and dogs. Many other tests are available and often indicated for specific conditions. Many of the tests routinely recommended can be performed in our clinic with our own laboratory equipment., providing results quickly and allowing for immediate treatment of your pet. Other tests may need to be sent off to a Veterinary pathology laboratory but because we are so well located in the inner city results can either usually be obtained overnight or in some cases the same day.